Reducing your risk of heart disease may have just become a bit more fun. 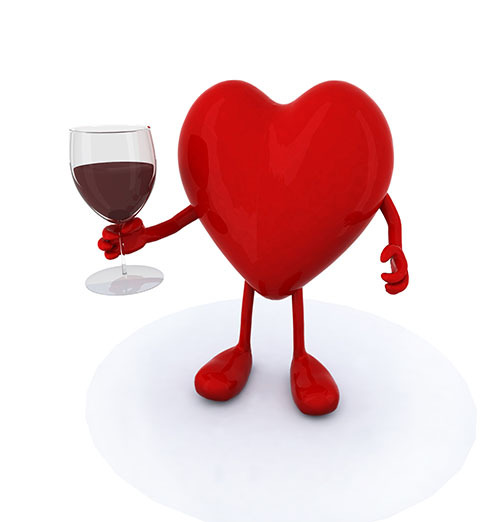 A new study done by researchers from China explores the actual mechanism of how a compound found in red wine, resveratrol, may reduce the risk of heart disease. Resveratrol, found in peanuts, grapes, red wine and some berries has been touted as a health promoting substance, which supports cardiovascular health and infers anti-atherosclerotic benefits. However understanding exactly how that takes place has been murky and debated. This study has uncovered evidence that the protective effect of resveratrol actually closely involves the gut microbiome – the extensive community of microbes that inhabit the digestive system of each of us. Specifically, it seems resveratrol is able to inhibit gut bacteria from creating a compound called TMA. TMA is required to produce TMAO – an inflammatory compound well known to contribute to the development of atherosclerosis. The concept is that the less TMA produced = less atherosclerosis in your blood vessels = better cardiovascular health! Great news for red wine drinkers! In my book Skinny Gut Diet we actually conducted our own small research project on gut bacteria right here in sunny Florida. We observed that when people in our group increased their ratio of Bacteroidetes (we called these the “Be Skinny” bacteria) to Firmicutes (our nickname was “Fat” bacteria) by shifting their eating habits and using digestive supplementation, weight reduction was the happy result. We used comparative Comprehensive Stool Analysis testing to measure the shifting bacterial ratios over time. Stay with me here, please. Essentially Dr. Mi is telling us that resveratrol helps to rebalance the ‘good guy-to-bad guy ratio’ of different bacterial species in the gut. The Chinese study was focused on the ratio of different species of bacteria as they related to cardiovascular disease specifically. In Skinny Gut Diet, we were looking more at bacterial ratios and their impact on obesity and weight loss. Certainly obesity and heart disease sadly go hand in hand. Any food or substance that will lessen obesity is sure to improve cardiovascular health. Bottom line – substances like resveratrol, healthful diet and probiotics that positively impact your microbiome have the greatest potential to protect your health. I never tire of reading innovative studies from around the world that deepen my understanding of how those helpful probiotics we have in our bellies function. From China to Florida, our research agrees. Heal your gut, heal your body – and in this case, your heart.